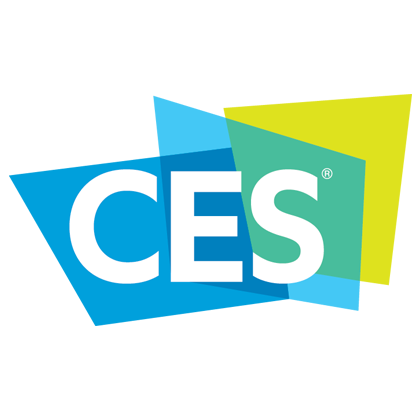 CES 2019 hit Las Vegas in the United States. As per usual, the massive electronics expo showcased a bevy of fantastic innovations. Notably, Internet of Things (IoT) tech played a prominent role. Check out the best IoT innovations of 2019! Staying at the forefront of breaking tech, Lenovo revealed its Smart Display as the latest member of its Smart Home Essentials lineup. Onboard, there’s Google Assistant. As the name suggests, it’s a smart slock which features a prominent IPS touch display. With functionality such the ability to wake you up with light similar to smart bulbs, you can arise to pleasant lighting. Since Google Assistant comes standard, you may configure routines for smart home automation when going to bed, coming home, and more. Plus, there’s a USB port on the back for charging your devices. Its speaker ensures streaming movies, TV shows, and music is simple. While Lenovo’s smart clock might not be the first of its kind, it’s certainly among the most exciting and refined bedroom smart devices you can buy. Smart mirrors can be super cool, but up until this point most were do-it-yourself (DIY) endeavors. At CES 2019, Capstone Connected Home debuted its Google Assistant-capable Smart Mirror. There’s touchscreen and voice control. With Google Assistant, you can utilize “Ok Google” and “Hey Google” commands for accessing weather information, sports scores, and more. Additionally, Capstone’s Smart Mirror can display social media apps and run Google Play apps. So for that last minute work email you said you’d send Friday, just bang it out after your shower Monday morning on the touchscreen. Netflix in the bathroom, anyone? In case you somehow missed it, 5G is here and it’s poised to further advance the IoT space. Verizon revealed plan to collaborate with Verizon in using 5G for transmitting and producing content. Intel seeks to expand its artificial intelligence innovation by fusing it with 5G in a system-on-a-chip (SoC) lineup aimed at 5G connectivity. Sprint announced its vision of using 5G IoT devices in furthering smart vehicles and drones, with AT&T has a rollout for 5G connectivity in stadiums and hospitals. Truly, the most exciting 5G applications extend well beyond better streaming for Hulu, Netflix, and Plex. Though flying cars might sound plucked from “The Fifth Element” or “Total Recall,” autonomous vehicles are increasingly popular. The Bell Helicopter showed off at CES 2019 and Bosch revealed concepts of self-driving shuttles. Bosch’s self-driving shuttles boast Wi-Fi and infotainment centers. Wearables are all the rage. But much of the wearable tech at CES 2019 was far more advanced. For example, Omron revealed a smartwatch capable of monitoring blood pressure. Moreover, it can track metrics and analyze data. Even L’Oreal hopped into the wearables game with a My Skin Track pH which monitors skin health. CES, as always, didn’t fail to deliver on its exciting concepts and products. Notably in the IoT space, smart home tech dominates. Expect Google Assistant in a variety of new products, from bedside clocks to mirrors and a slew of speakers including offerings from House of Marley. Outside of consumer tech, 5G is poised to revolutionize industrial IoT and smart cities. Your turn: What are your favorite CES 2019 reveals?